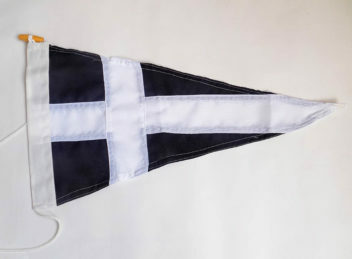 Cornish Flag of St Piran Hand Sewn Pennant. The Pennant comes complete with cord and wooden toggle ready for flying. Designed for long lasting outdoor use. Maximum 48cm X 25cm.